The Rise of the Seed-producing Cooperative in Western and Central Africa: A viable path towards improving access to quality seeds in the region. 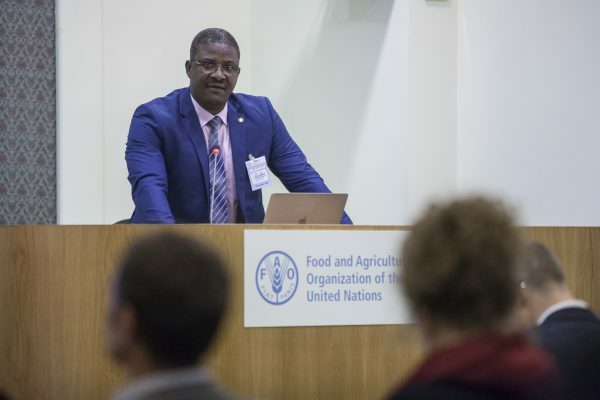 The Access to Seeds Index was invited by the Food and Agriculture Organization (FAO) of the United Nations to host a side-event in parallel with the Committee on Agriculture’s (COAG) 26th session. 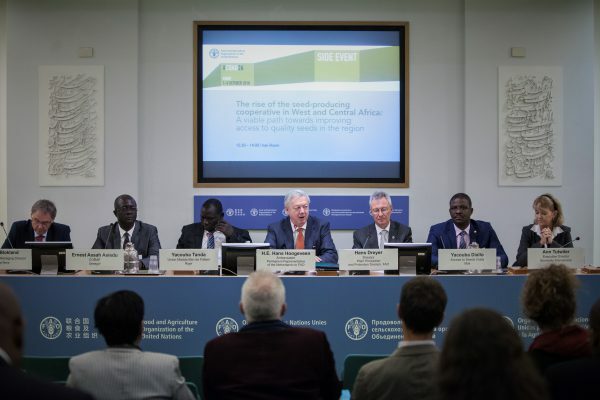 The side-event took the form of a panel discussion focused on seed-producing cooperatives based in Western and Central Africa, the theme central to the Access to Seeds Index’s recent publication, The Rise of the Seed-producing Cooperative in Western and Central Africa. The panel representatives encompassed a range of perspectives: including representatives from FAO to representatives of the seed-producing cooperatives mentioned within the Access to Seeds publication itself. 03 October 2018, Rome, Italy - (Left to right) Kees Blokland, Founder and Managing Director, Agri Terra, Ernest Assah Asiedu, CORAF, Senegal, Yacouba Tanda, Madda Ben de Falwel, Niger, Hans Hogeveen, Chairperson, Hans Dreyer Director Plant Production and Protection Division, FAO, Yacouba Diallo, Research Consultant, Access to Seeds Index, Ann Tutwiler, Executive Director, Bioversity International. COAG Side Event - FAO Headquarters (Iran Room). ©FAO/Giulio Napolitano. Editorial use only. Copyright ©FAO. 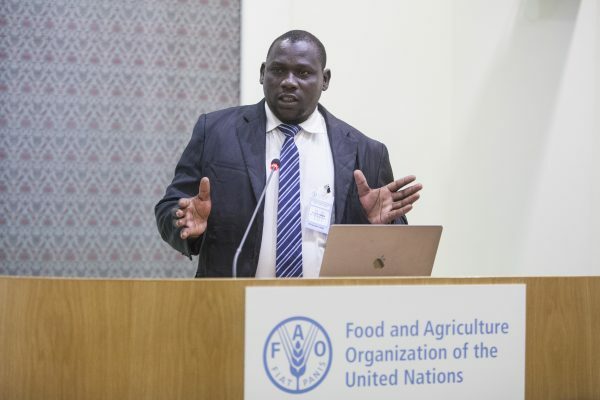 Yacouba Diallo, Research Consultant, Access to Seeds Index. Yacouba Tanda, Madda Ben de Falwel, Niger. 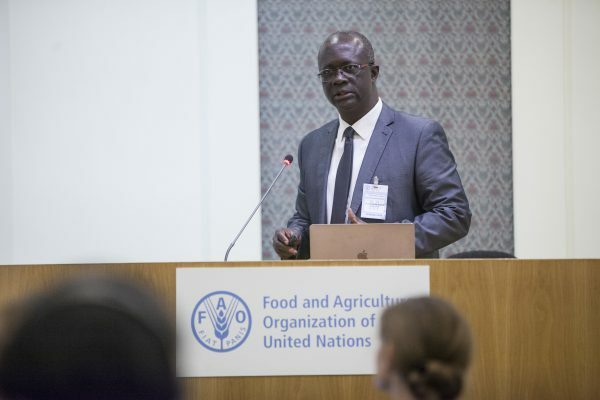 Ernest Assah Asiedu, CORAF, Senegal.